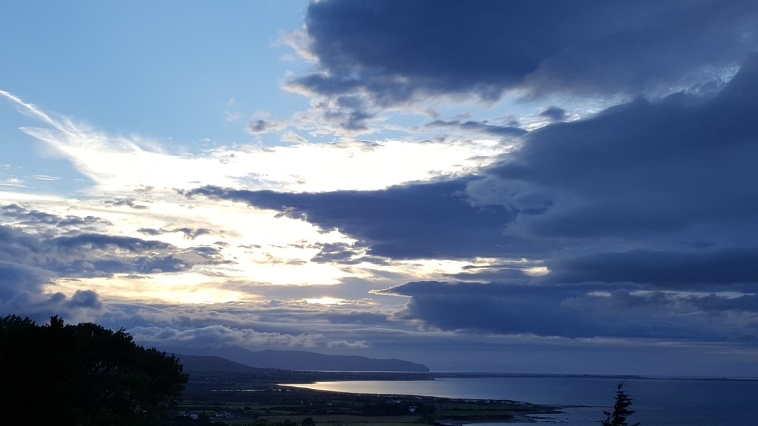 With its endless views, its drama, spiritual significance and history, the Brandon ridge is one of Ireland's finest walks and the one in Dingle that Walkopedia covets the most. 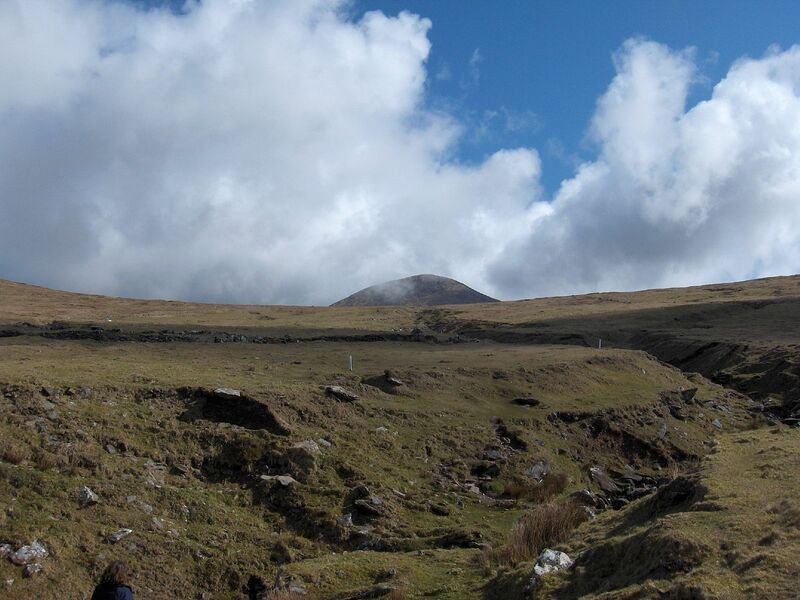 Majestic Mount Brandon is, at 951m, Ireland's 8th highest mountain and it's second-highest massif. 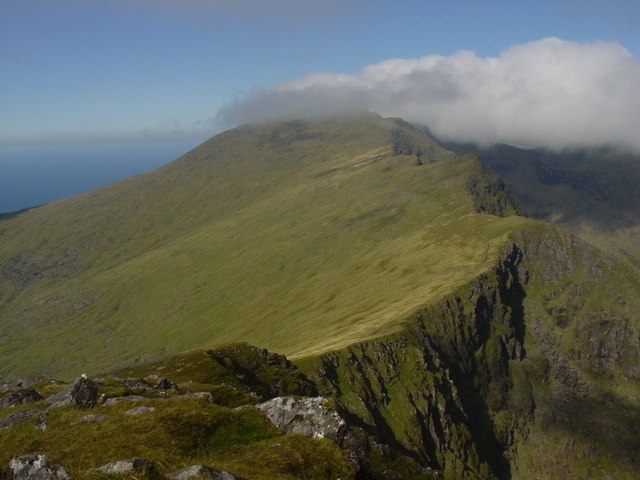 It sits to the north of the western end of the Dingle Peninsula, alhough it's ridge runs for some 7km from 763m Masatiompan, above the huge sea-cliffs to the north, due south to Brandon itself, on above its dramatic, glacially gouged eastern cliffs and cirques to Brandon Peak (842m) and eventually down via Gearhane to the south. 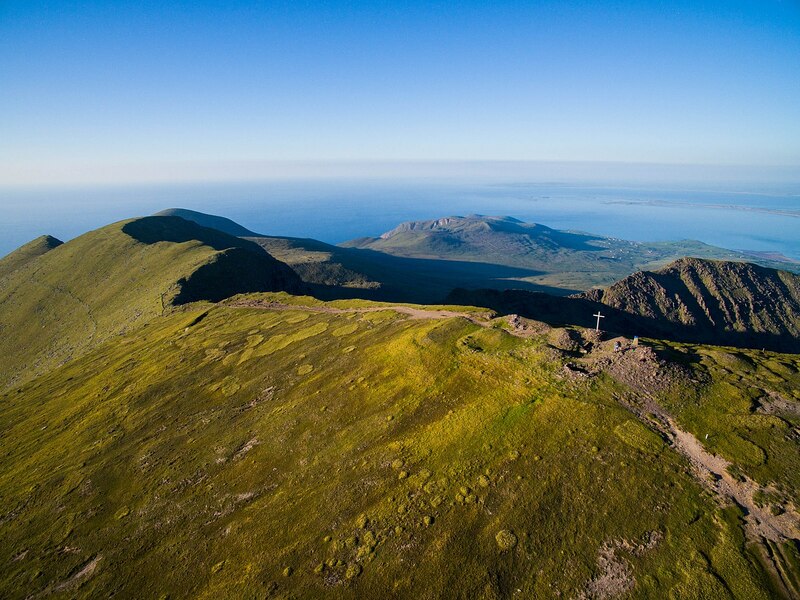 With its endless views, north as far as the Aran Islands, south beyond Iveragh to Beara and east to McGillycuddy's Reeks and the plains of Kerry, its drama, spiritual significance and history, the Brandon ridge is one of Ireland's finest walks and the one in Dingle that Walkopedia covets the most. Brandon has been a place of pilgrimage for centuries because of its associations with St Brendan, and the most direct and most-used ascent is via the Stations of the Cross route from the west at the end of the Saints Way from Venrty. To the seasoned walker, this is a bit of an unthrilling trudge, usually in company, albeit religiously significant. More exciting, however, would be one of the other routes - or at least sharing the expedition with one of them. Walkopedia’s ultimate would be to climb the Faha route, then walk on along the ridge either north or south. 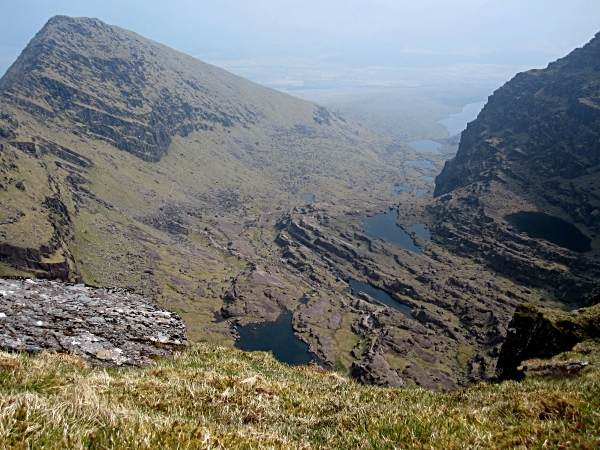 Mount Brandon's summit is relatively inconspicuous on the flattish summit ridge, but it is privy to a marvellous view down the great eastern hills and corrie to loughs Nalackan and Cruttia. See Hillwalk Tours’ website www.hillwalktours.com/walking-hiking-blog/mountains-in-ireland/mount-brandon/ for more information on this walk.